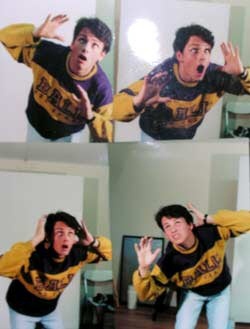 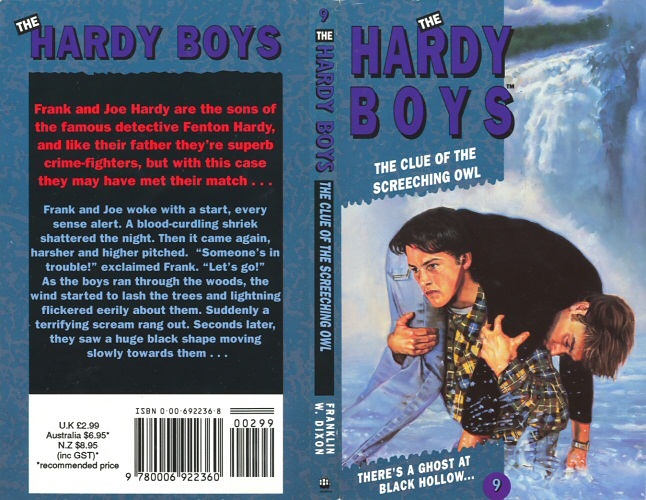 David Browne contributed 25 cover paintings to the Hardy Boys series in the early 1990s. 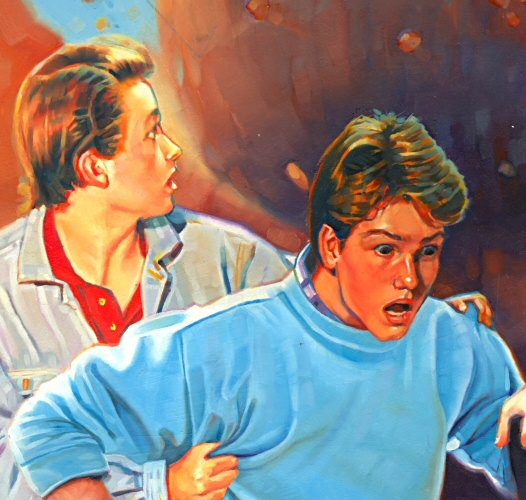 Here, his covers are presented approximately in the order in which they were painted. 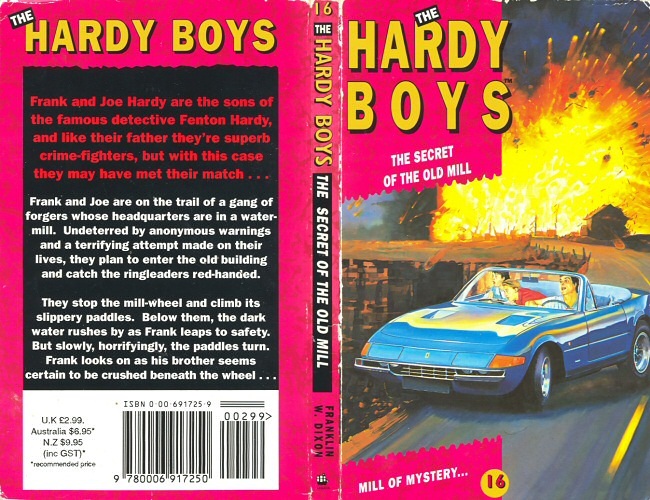 In addition to the original paperback covers, from 1992 and 1993, covers from subsequent omnibus editions, final artwork, rough sketches and model photography are also shown. More details about David can be found on the Artists page, while for specific information on the books themselves, please navigate to the Armada Format E page. 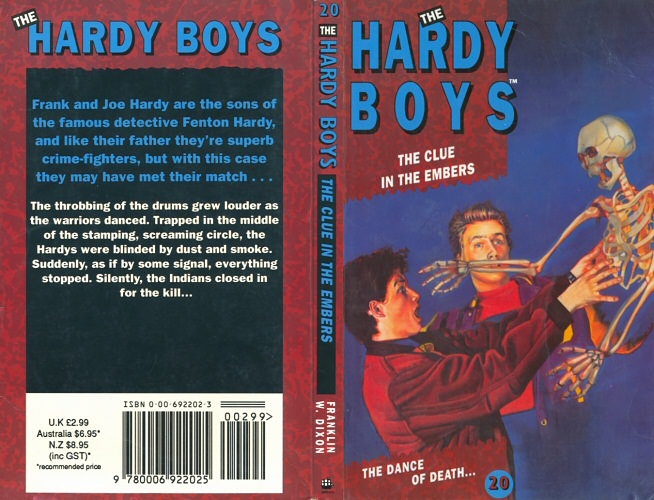 The first cover that David Browne produced for the series, in late 1990 / early 1991. 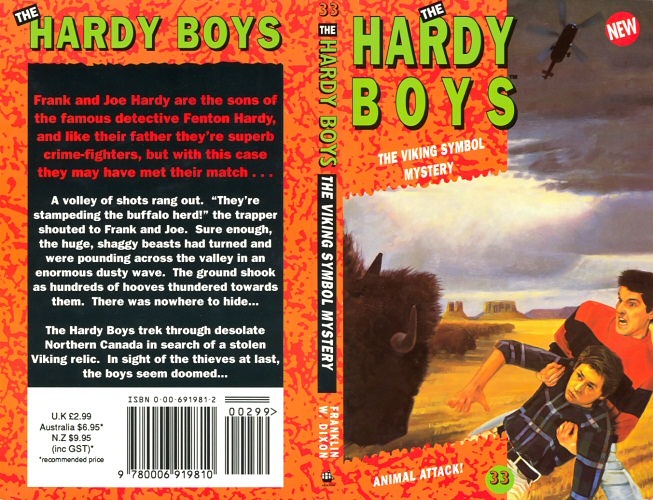 The second cover that David Browne painted for the series. 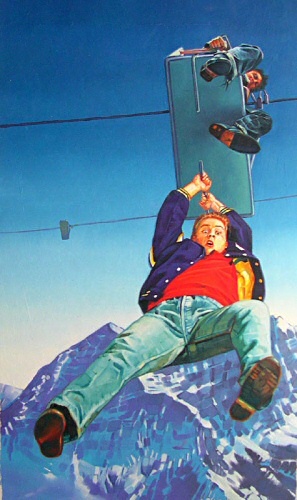 Based on a travel guide of Iceland; his agent thought it was too detailed. 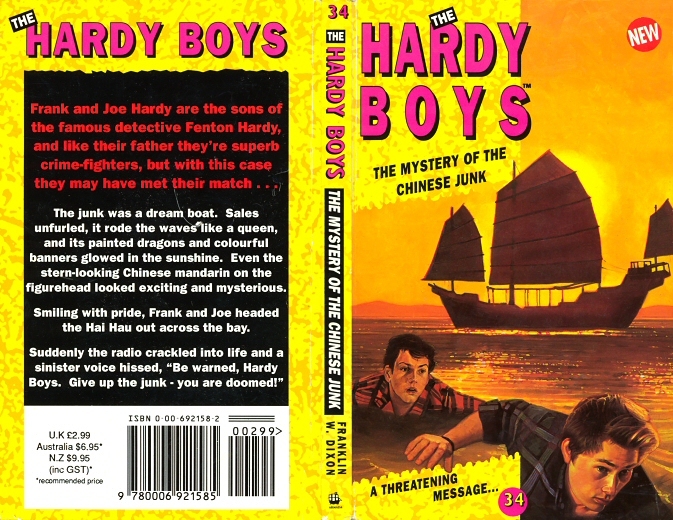 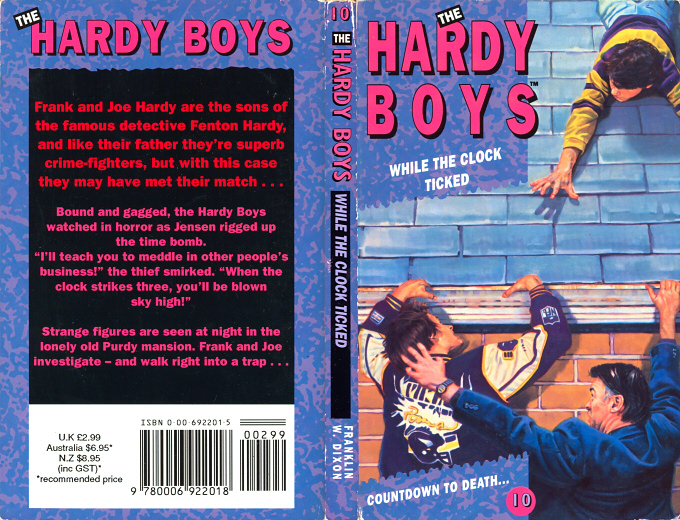 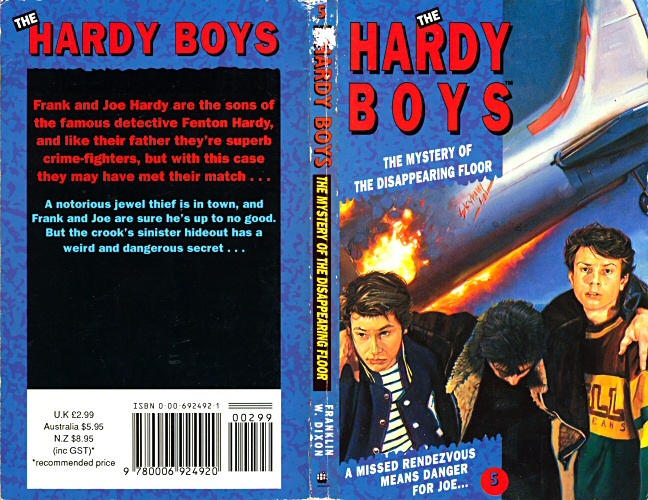 The third cover that David Browne produced for the Hardy Boys series. 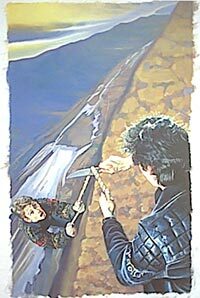 The painting was smaller than the first two, as Armada were beginning to push the deadlines. 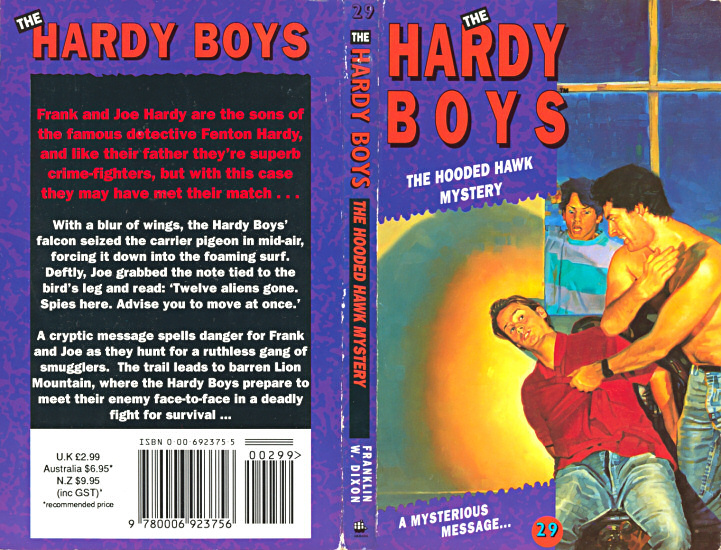 The fourth painting that David Browne produced for the Armada Hardy Boys series and dates from 1991. 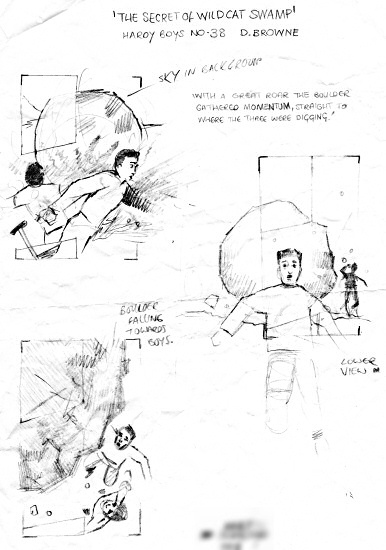 In an attempt to speed up the illustrative process, this painting was one of the smallest in scale. 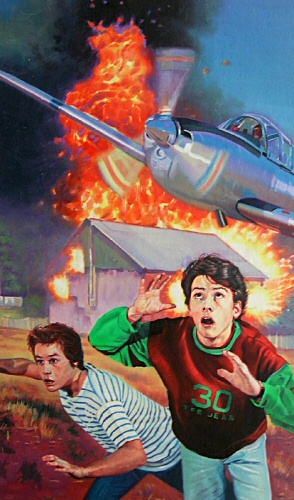 David Browne plays the part of injured pilot Jack Wayne in this illustration. 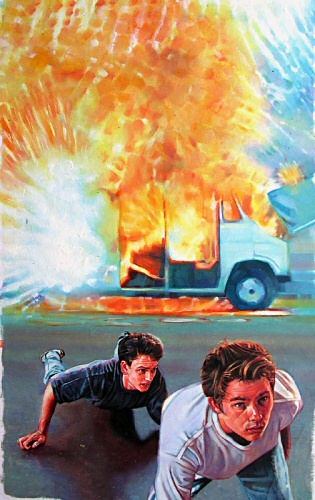 This illustration was painted in early 1992. 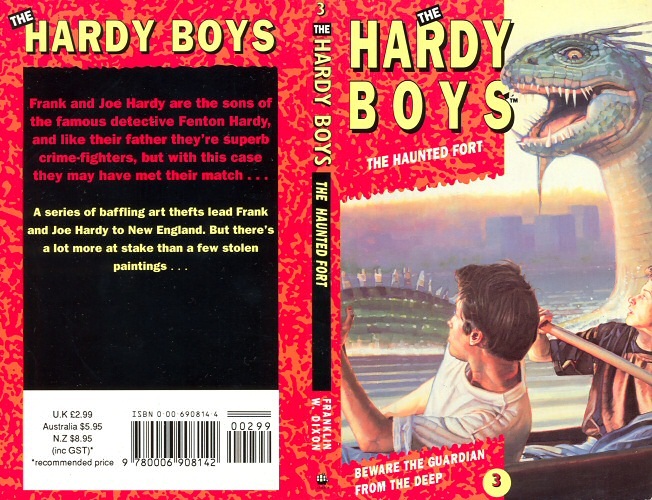 Painted in early 1992 by David Browne, this cover illustration is not one of his personal favourites. 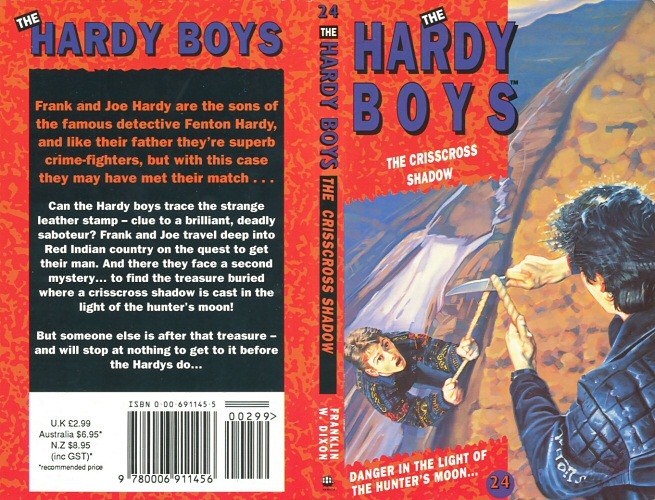 This cover illustration dates from early 1992 and David Browne plays the part of the sinister figure in the background. 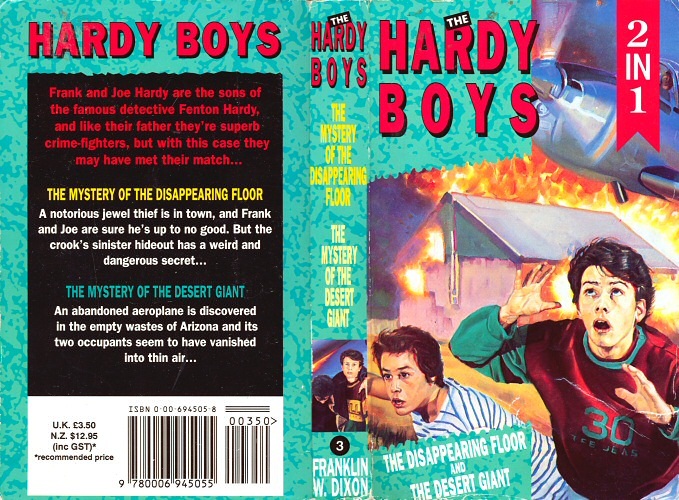 The background of this cover, painted in early 1992, is based upon Death Valley. 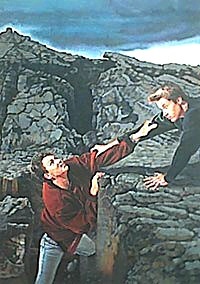 David Browne plays the bad guy trying to cut the rope. 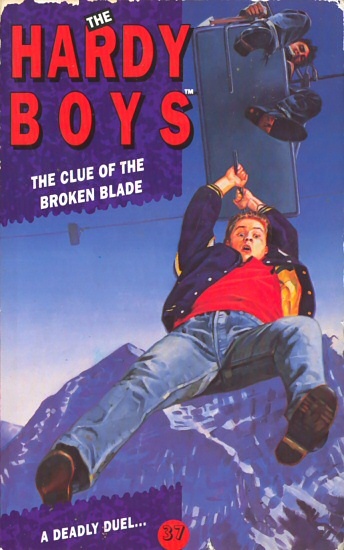 In this cover, which dates from early 1992, David Browne based the shady character in the cable-car on himself. 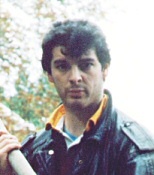 David Browne employed Kenny McKendry to play the part of the boy being carried from the lake, due to difficulties he had arranging photo sessions with the blond model. 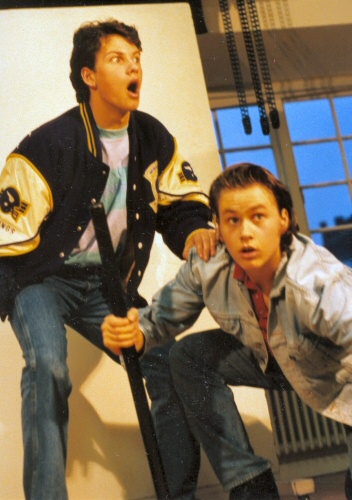 David Browne's stepfather plays the part of the man hanging from the edge of the roof. 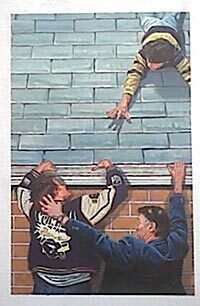 Browne used his neighbour's roof as a reference for this particular illustration. 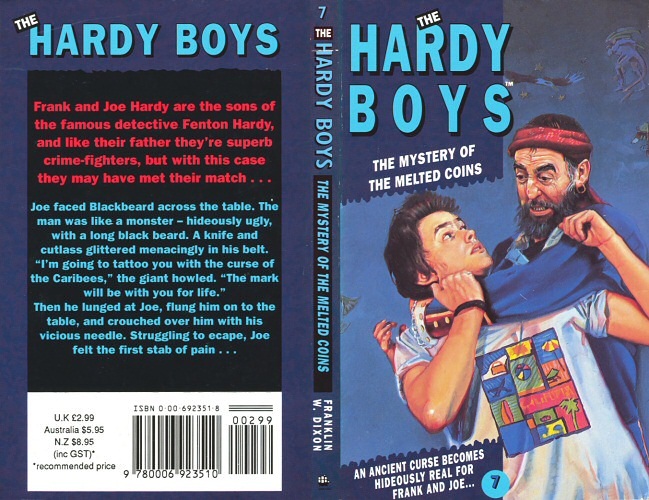 In this cover, Blackbeard is David Browne's step-father with a beard grafted on. 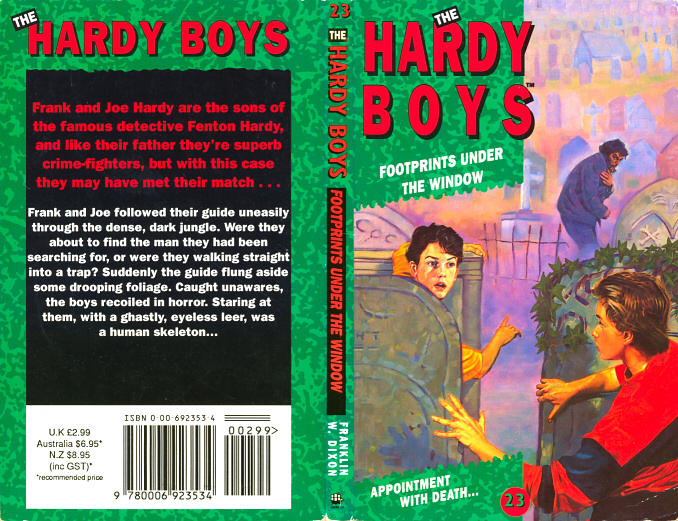 David Browne's agent wanted a change of style, resulting in this colourful, almost psychedelic cover, which was produced in early 1992. 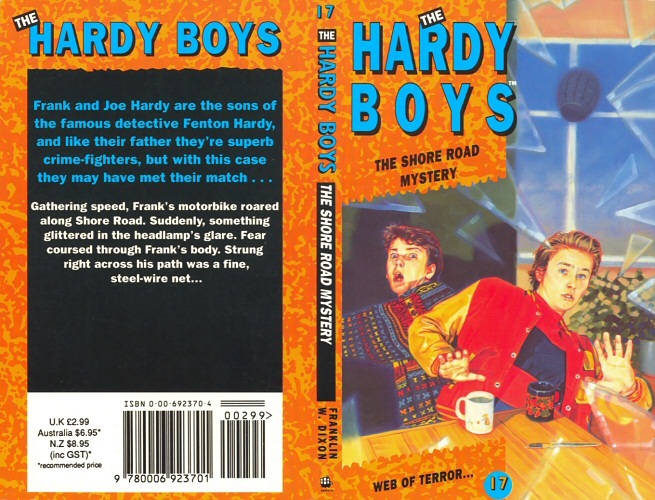 Another of Browne's 'psychedelic' efforts, the skeleton seen in this painting was actually made out of cardboard. 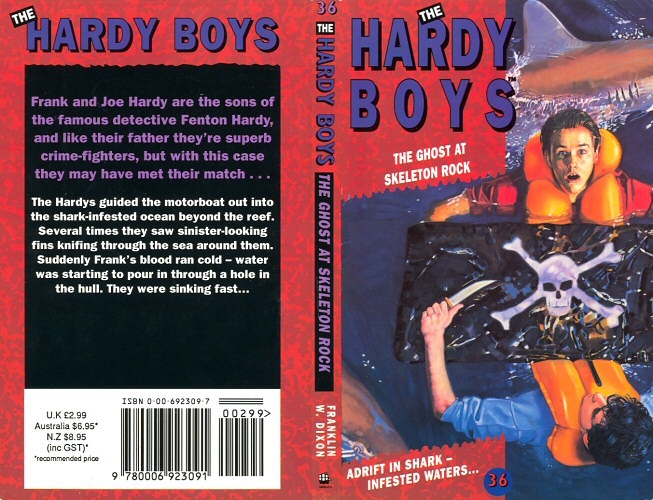 This is another cover illustration produced in a psychedelic style. 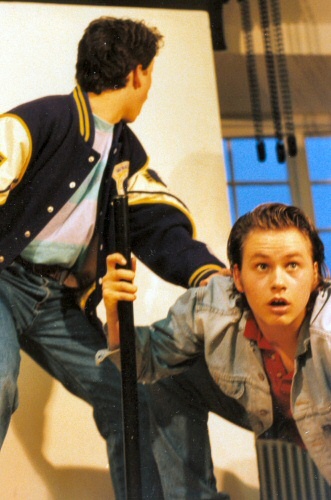 David Browne plays the part of the shotgun-wielding bad guy in the background. 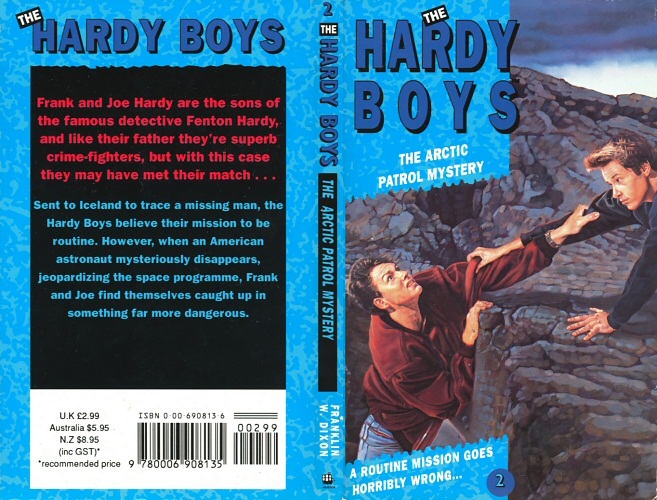 This cover was painted by David Browne in April 1992 and was one of the most difficult illustrations he had to paint for the series. 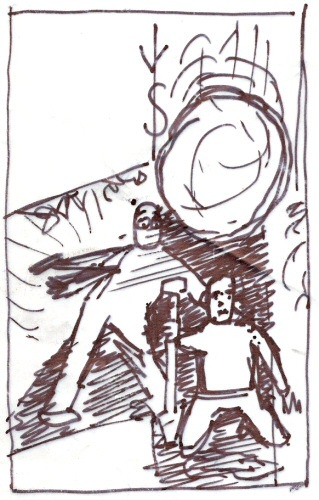 The flag was photographed floating in his bath. 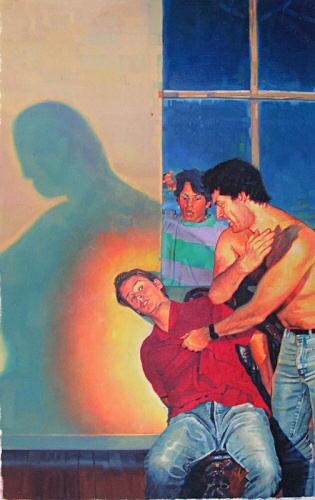 David Browne painted this cover in mid 1992 and once again he acted out the part of the bad guy in the illustration. 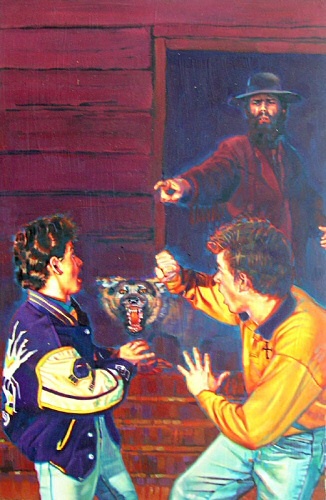 According to Browne, the concept of the painting represented his frustration with the models at that time, who were growing their hair and developing beer guts. 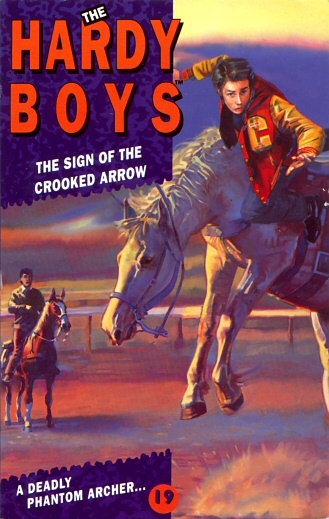 Browne worked on this painting in the middle of 1992 and it was one of his last efforts for the series. 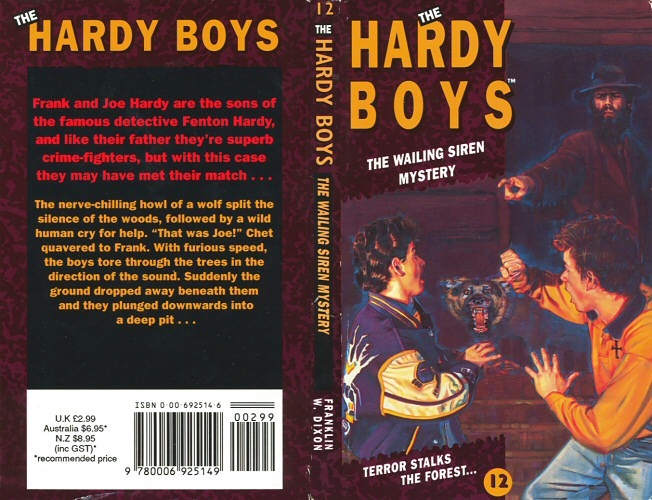 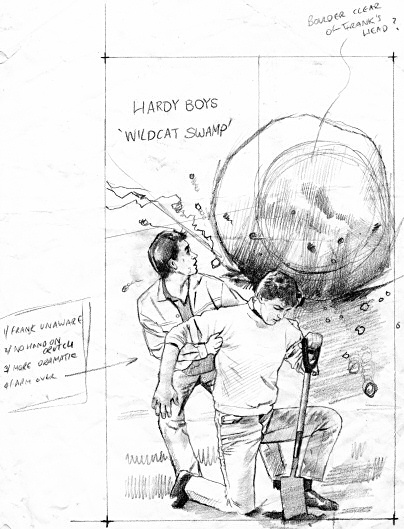 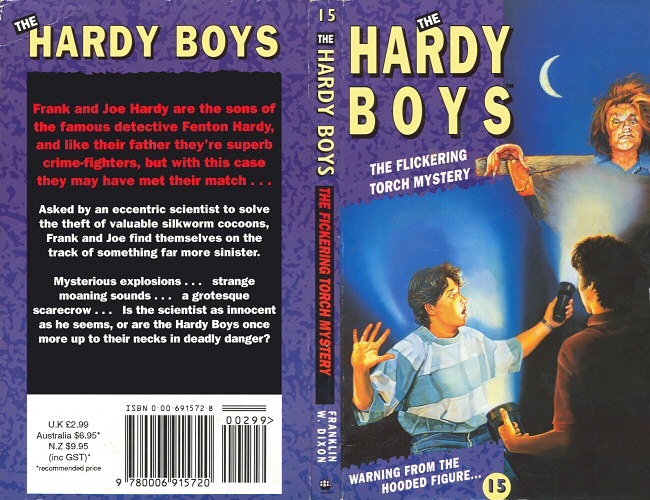 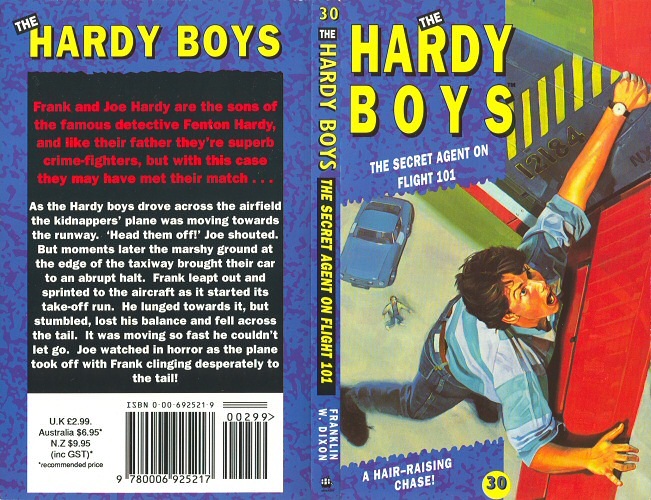 David admits that due to a loss of confidence and difficulties with the Hardy Boys models, the illustration had to be virtually redone with old reference material. 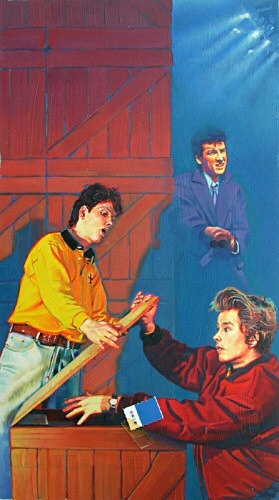 Chet Morton is played by Browne in this cover illustration, although David admits that he had to broaden himself on the painting. 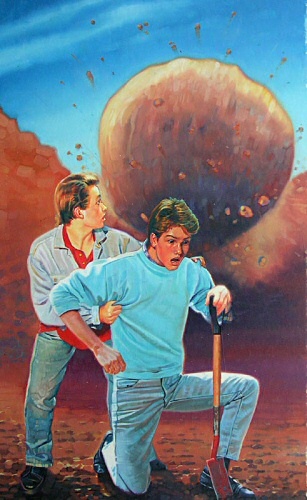 The boulder in this illustration was based on a rock about 4-inches in size. 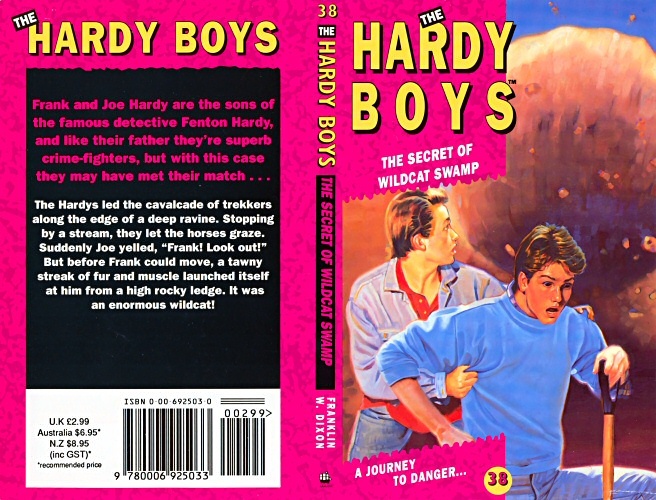 David posed as one of the Hardy Boys in his garden, and grafted a head from a model onto his body in the final artwork. 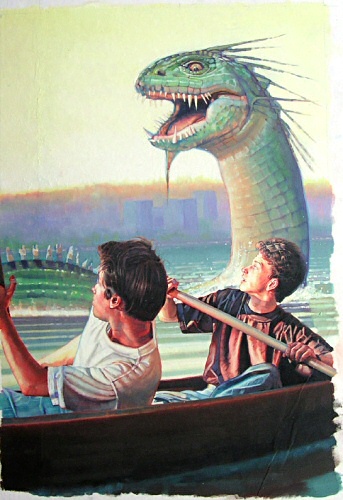 This was one of David's last cover illustrations for the series (painted near the end of 1992). 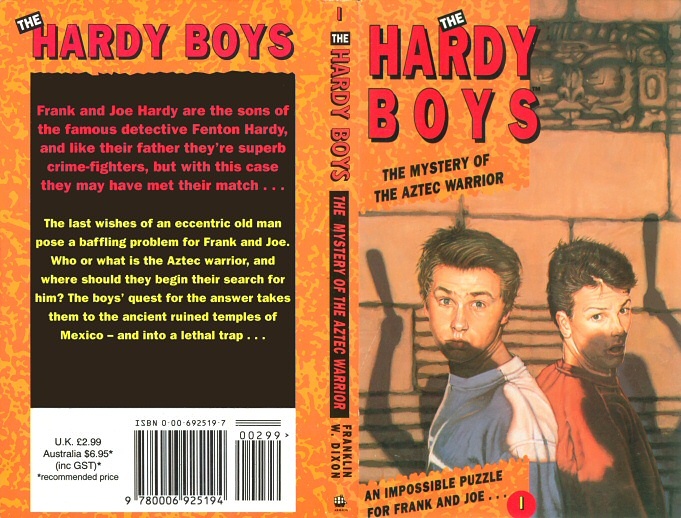 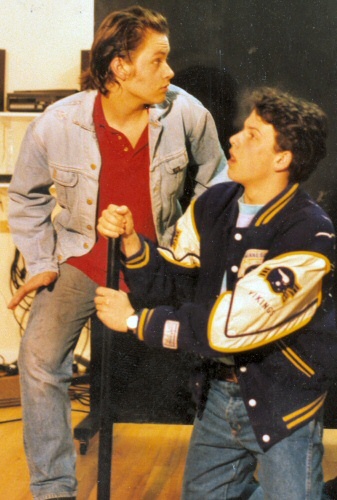 The models were unavailable at this stage, so Browne took on the role of Frank, while Kenny McKendry played the part of Joe (although the blond model's head was grafted on in the final painting). 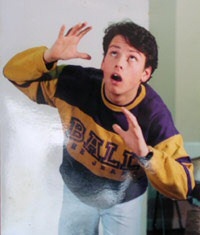 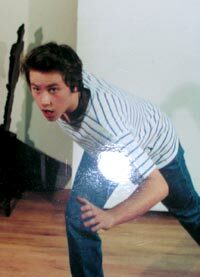 The photographic references were taken in McKendry's living room. 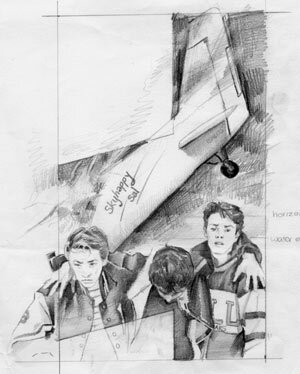 Dating from late 1992, this illustration was one of the last that David produced for the series. 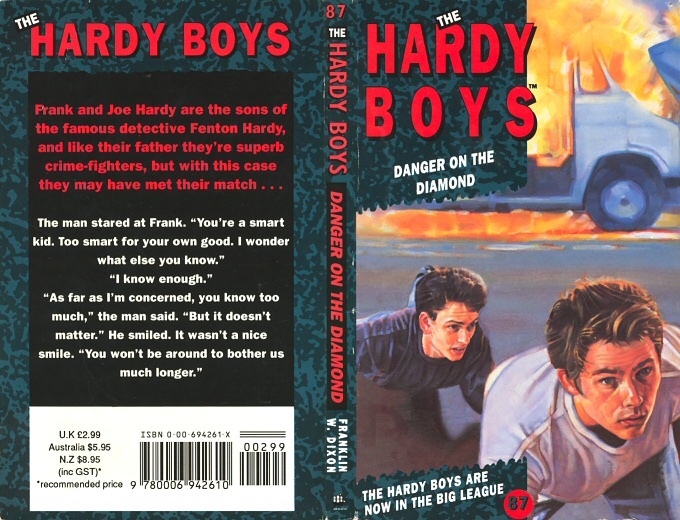 The boys in the painting were based on the photographs originally taken for the Danger on the Diamond cover. 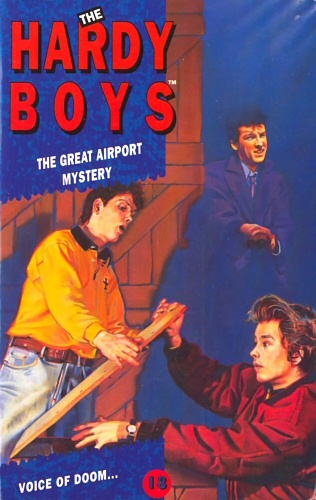 This was one of David Browne's very last cover illustrations for the series and dates from late 1992.